Sen. Bernie Sanders at a campaign fundraiser in 2015 in New York City. Each week, Blockchain News brings you the best social media tidbits, FUD and other oddities from the cryptosphere’s social media landscape. Barry Silbert, founder and CEO of Digital Currency Group, spoke with CNBC on July 18 about the bear / bull market, the Securities and Exchange Commission, Wall Street and more. Silbert also said that he believes only five cryptocurrencies will make it in the long run — Bitcoin, Ethereum Classic, Zcash, ZenCash and Decentraland — and the rest will bottom out at zero. 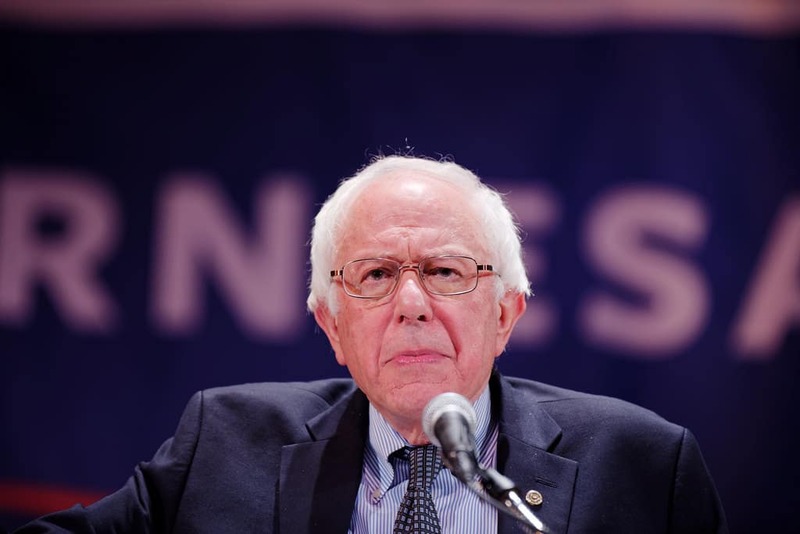 Sen. Bernie Sanders: Crypto Communist? Nope. Bernie is a crypto communist. He wants to steal and enslave people at a greater rate than virtually any other US politician. On July 16, financial investment platform RobinHood announced that Dogecoin would be available on their network, which recently added cryptocurrency investment tools. Their community was excited by the announcement, with one user pointing it out as a sign of the forthcoming end of the bear market. Following an article on Bloomberg in which the CEO of Blackrock said there’s zero interests in cryptocurrency among the company’s investors, Meltem Demirors — chief strategy officer at CoinShares — replied to the comments, calling out the crypto community for its lack of professionalism. On July 18, the United States Congress held two hearings in relation to cryptocurrencies. CoinDesk live-tweeted the event. CoinDesk tweeted that ranking member Collin Peterson has “real concerns” over scams, particularly in the initial coin offering (ICO) realm. Did This One Tweet Curtail John McAfee’s Crypto Career?